Putting families together one pup at a time …. Meet the coolest pup on petfinder! We can’t say enough good things about this Barnaby Jones…he has an amazing personality and is just the cutest thing! His foster mom describes him as “perfect”. Barnaby came in to a high kill pround in Louisiana as a stray. No owner came forward to claim him but his charm secured him a cherished spot in the adoptable section for a few weeks. This quiet and easy going guy kept being overlooked at the shelter because of his size (not big but not small) and coloring (dark). Sadly his time ran out at the pound but Barnaby was saved thanks to a great relationship between PAWS of NE LA (a local group who helps dogs at their area pound) and Bonnie Blue Rescue. Unfortunately, Barnaby Jones has also been being overlooked in rescue and has been in foster care for for almost a year without finding his perfect forever family. 😦 We just can’t understand why and would love to see B in a home for Valentine’s Day! Barnaby is approximately 2.5 years old and 30#. He has the size of a Basset but the coloring and haircoat of an Airedale….we don’t know for sure what his mix is but we know he is wonderful! Barnaby is neutered, heartworm negative and on prevention, current on vaccinations and ready to go to his forever home today! He is fostered with kids and other dogs and loves the attention of both. Here is a video of the happy fella the day he was bailed out of the the pound –http://youtu.be/QVNLNx_XcZ4. Email us today at bonniebluerescue@gmail.com to learn more about adopting sweet Barnaby Jones! This cutie has looks and personality…all he needs now is a loving forever home!! Panda was brought into a high kill pound in Louisiana as a stray. No owners came to claim him and his time soon ran out at the busy shelter. Thankfully a LA group that works with Bonnie Blue Rescue was able to rescue Panda and he is now safe and thriving in foster care. Panda is approximately 1 year old and fully grown at 40#. 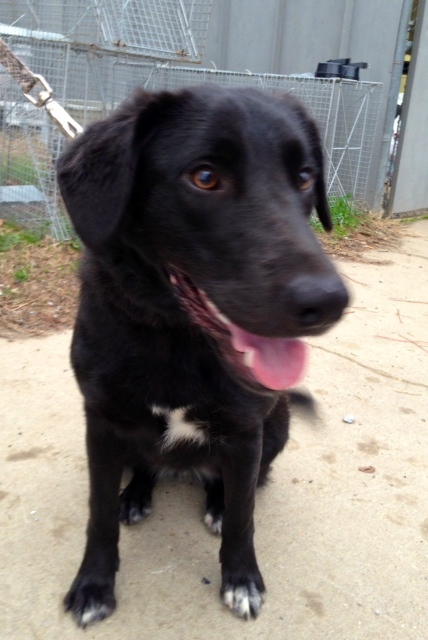 We think he is a border collie mix – he is uber smart and willing to please. Panda is nervous of some men at first but warms up to them if they go slow with introductions and let him know they are one of the good guys. We don’t think little Panda was treated very kindly in his past but his foster mom is working extra hard to show him that his future brings good things! Panda is good with kids, cats and other dogs. He is a medium energy dog and loves going for walks. He also enjoys cars rides and cuddling! Panda is quickly learning about potty training and is doing well. We expect a bright future for handsome Panda and would love for him to start 2013 off with his forever family…he certainly deserves it! For more information on ADOPTING Panda, please email us at bonniebluerescue@gmail.com. Lucky for Noel, she was rescued by a Louisiana group that partners with Bonnie Blue Rescue to find amazing northern homes for their special LA pups. Noel is a star in foster care and her foster mom reports that she gets along so well with the family’s other lab. They cuddle and lick each other and play! Noel is such a little sweetheart. Noel is good with adults, kids and other dogs. She has not been tested with cats (but we can arrange that, if needed!). Noel is learning her manners and is doing well with potty training, crate training and walking on leash. Noel is approximately 11 months old and 44#. She is spayed, microchipped, current on vaccinations, heartworm negative and current on prevention. Noel would love nothing more than to be in a loving, forever home by Valentine’s Day! If you are interested in ADOPTING Noel, please email us at bonniebluerescue@gmail.com for more information! Say hello to the adorable (and famous) Carbon! Carbon & her sister Cinder were dumped at a high kill shelter in Louisiana and scheduled for euthanasia after being there less than 24hrs due to overcrowding. Thankfully, Carbon (& Cinder) caught the eye of the PAWS Rescue Coordinator and were some of the luck one’s that day. Carbon is now thriving in foster care. Carbon is a happy, healthy, well adjusted little Lab mix!! Thanks to a great partnership between PAWS of NE LA and Bonnie Blue Rescue, Carbon is now looking for a loving forever home. We have no idea what kind of mix Carbon is but we think Labrador for sure. She is a petite pup though so may not grow to full Lab size…we expect her to mature to be a medium sized dog at least. She has a glossy black coat and beautiful brown eyes. Carbon is approximately 10 weeks old as of January 30th and will be ready to transport home in late February. Until then her Louisiana foster mom will keep working with her on socialization, potty training, crate training and basic puppy manners. Carbon already knows how to sit and is doing very well with leash training, especially for such a young girl! While she is eager to please and is doing well with all the training so far, Carbon is a puppy and will have a long way to go so please keep that under consideration. This sweetie needs and deserves a home that will help her grow up to be the best dog she can be! Carbon is fostered with kids, cats and other dogs and is comfortable in a busy household. This special pup is also a TV star and got to go on a local LA morning show with her foster mom to talk about an upcoming Mardi Gras Pet Parade. Here is a video of Carbon’s TV debut… http://www.knoe.com/category/178698/video-landing-page?autoStart=true&topVideoCatNo=default&clipId=8212171. 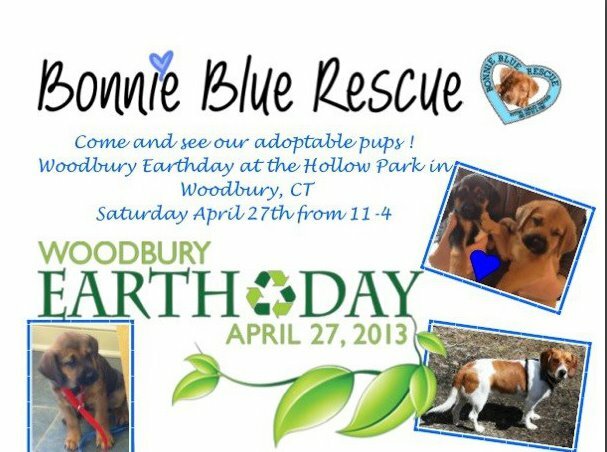 Bonnie Blue Rescue is holding its second Adopt-a-Plush Event! 100% of the proceeds from this fundraiser will go directly to rescuing death row pups from Ouachita Parish Animal Shelter in West Monroe, LA. 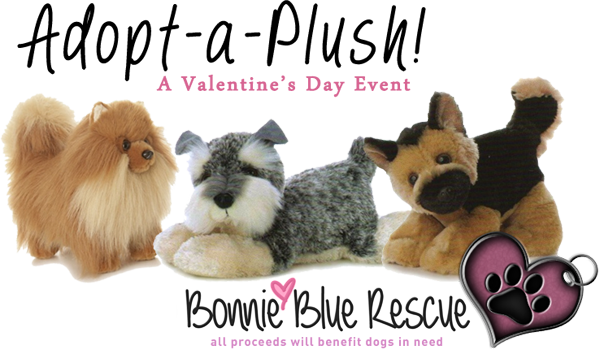 How it works: Donate $25.00 to Bonnie Blue Rescue and you will receive a surprise plush pup in the mail by Valentine’s Day. The plush pup will come with an adoption certificate and a thank you note from our rescue. How to donate: Donations can be made online via Paypal by going to http://www.paypal.com and choosing the link to “send money”. From there you simply enter our email address (bonniebluerescue@gmail.com) and the amount of your donation. Please add the recipient’s name and shipping address in the PayPal comments. Details: This event is limited to the first 30 “adopters” so act quick! The fundraiser will end on Monday, February 11th to give enough time for the pups to be mailed out to their new “furever” homes in time for Valentine’s Day! We have many wonderful pups in rescue or coming into rescue in the coming weeks and have some approved adopters who just have a home visit standing between them and their new pup — woohoo! The sad part is we just don’t have enough hands to do it all on our own – we need some friends to help us make these families complete! 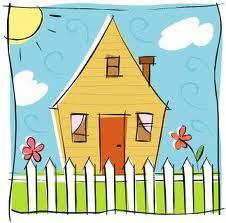 Can you help us complete a home visit in one of these areas? Please email us at bonniebluerescue@gmail.com and indicate which home visit(s) you would be able to assist with & we will send you more information. Miss Truffle is an absolutely AMAZING black lab mix. 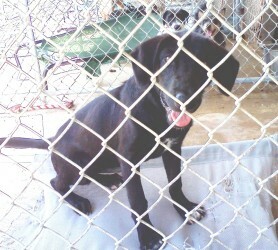 She is your typical lab girl – happy go lucky, easy to please, & social with everyone she meets. Truffle was rescued from a high-kill shelter in rural Louisiana. She has been looking for her forever family through Bonnie Blue Rescue since OCTOBER! We are floored that this awesome girl hasn’t been scooped up yet. Truffle would fit into almost any home — she has so much love to give! Truffle is amazing with kids and other dogs. She is totally housebroken & cratetrained and is an all around awesome girl. If you are interested in adopting Truffle, just email us at bonniebluerescue@gmail.com. We will gladly send more information your way. Handsome Finn has been in rescue since October & we cannot believe that this gorgeous, sweet guy has not been scooped up. Finn is an AMAZING pup. He is right at 1-2 years old and is totally cratetrained and housebroken. Finn is great with other dogs and enjoys going to doggy daycare to romp and play with his canine friends as often as he can! He also really enjoys sharing his home with his foster brother, Marley. Finn is good off-leash and has excellent recall. He is currently fostered on a small farm and does well with the horses and the donkey and has been around young kids. Finn is great with everyone! For more information on ADOPTING this gorgeous boy, email us at bonniebluerescue@gmail.com. Gorgeous Kourtney is ready to meet her forever family. & WE NEED YOUR HELP! Can you share this post on facebook? Via email? Send her photo to a friend or family member? We know that there is a special family out there waiting for this girl — we just need YOUR HELP to find them! Kourtney is a gorgeous 1 year old Catahoula/Terrier mix. She is full grown at 32 lbs! Kourtney is incredibly social and very, very sweet! She loves to snuggle, play, and sniff the Christmas tree! Can you help this tiny little cutie find her forever family? She would be so appreciative! For more information email us at bonniebluerescue@gmail.com.